There is a Neurological component to depression and anxiety disorders. While science has not determined the exact cause of depression, research has pointed towards a likely involvement of the brain stem and upper cervical spine in many mood disorders. 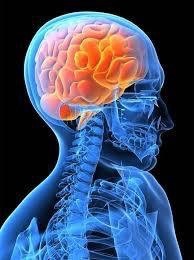 In fact, the brain stem (whose lower portion is located in the uppermost part of the spine) is involved in the regulation and control of brain chemistry as well many other vital functions.Even a mild concussion to the head, neck or upper back can increase the risk of depression. Studies show that depression is a common diagnosis in patients with whiplash, an injury that can directly affect the upper neck and lower brain stem. Following the trauma, mood disorders can be triggered immediately, or they can take months or even years to develop. Exciting new studies show “significant improvement” in depression test scores after specific upper cervical corrections. This noninvasive and safe alternative should be the beginning point for all who believe that they are suffering from depression.